These were some of the tweets being churned out by our young people ahead of the 2018 exam season. For most of us a key driver for us to join the teaching profession was to help improve the lives and outcomes of the students we teach. It was difficult to not feel defeated on their behalf when these posts were shared on social media after the exams. Interestingly it wasn’t just students who were concerned. Across the nation teachers have taken to social media ever since the reformed GCSEs were introduced to comment on the increased content expectations and worries about students not being able to cope with perceived demand and volume of case studies that would be required. Now that the dust has settled we must ask ourselves, was there the need for the panic? Now that we have been through the process once, and seen the first set of papers and their mark schemes, and with the glorious benefit of hindsight, I do hope the teaching community is breathing a collective sigh of relief – and passing this on to their students. The new curriculum is demanding, yes, but manageable. There is a justified purpose for the additional demand – we are meant to be building more well-rounded geographers. The fact that the reformed GCSEs are inherently less predictable than their predecessors is a good thing. It means that exam factory conveyor-belt that had crept in to existence in many a school can and should be banished. 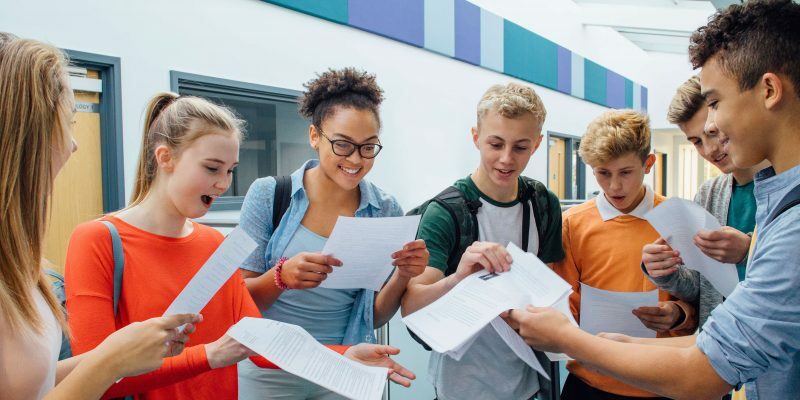 The new GCSEs do mean more content – but this isn’t an unfair requirement. 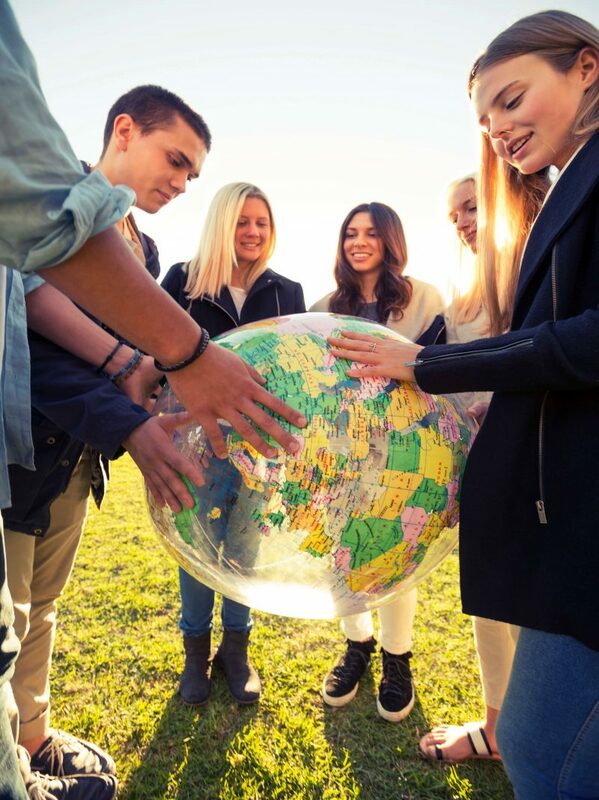 After all, we want to establish a love of geographical understanding to ensure students can look at the world around them and more fully appreciate the interconnections, the processes, the relationships that exist. Perhaps in twenty years’ time when reminiscing on their school geography days these students will recall far more in depth understanding that simply what a meander is. As a senior leader, examiner, and someone who worked on the new GCSE content and textbooks I was so proud of the young people and my colleagues across the country who embraced the changes with enthusiasm. Tweets like the ones below by excellent teachers made me smile. @geography_kes “loving teaching the range and academic rigour”. So, what about the case study concerns? Well, as with all teaching, it is about careful effective planning. Maximising the power of each case study for multiple topics and concepts whenever possible, in order to reduce the total number required. I’ve always advocated the multipurpose case study, even in the old spec. Do students really need 16 different case study locations? No. Choose wisely, and save yourself and them the confusion. This covers three potential case studies in one named place-specific focus. With infrastructure construction being developed by Chinese TNCs, with Addis Ababa constantly evolving through internal rural-urban migration and international migration, and with both top-down and bottom-up examples of aid strategies focusing on food security. Ethiopia ticks the boxes, in just one specific location. This way, you can have an in-depth country study, thus also considering factors such as climate, relief, hazards, population, urban change, etc. and students can then have the full context and build themselves better quality answers to extended questions on a range of topics. Similarly, you must have: the impact of a hazardous weather event and also an Advanced Country city study. So, why not focus on Brisbane Australia and then you can consider the 2011 El Niño season along with tropical cyclone Tasha generating flash-floods which following the La Niña-induced drought and wreaked havoc in Brisbane. By reducing the number of case studies required and you can spend more time on in-depth detailed knowledge which empowers students to make synoptic links between content and topics (rather than seeing these as discrete entities), to examine factors, to extrapolate and evaluate the myriad aspects and relationships that make geography the best subject to study. Finally, when it comes to the assessment itself students do not need to feel overwhelmed. The skill of the extended answer is not memorising every fact – it was never intended to be. Marks are not allocated for pure recall and listing hundreds of statistics. Student’s (and teacher’s) lives can be made easier by modelling the case study skill – that it is about making links, developing points fully, analysing the facts, and evaluating knowledge. You can easily get away with just three case study facts, provided these are well developed and used appropriately. Students need to infer from the facts that they have, to expound, to compare and contrast, to draw conclusions, to evaluate. And to do all this through quality literacy using appropriate key terms and connectives like ‘therefore’, ‘on the other hand’, ‘whereas’, etc. The case study is not a memory recall exercise, it is an application of knowledge. This is where activities such as SOLO connections, IDEAL frameworks, structure strips, learning grids, consequence chains, and other tools can really benefit. Is there then a need for a perfect framework to give to students to enable them to ace the case study question? This is a difficult one. If we give students too prescriptive a scaffold, then they may become overly reliant and unable to think outside the box. This may also make them more likely to be ‘regurgitative’ geographers rather than knowledgeable geographers, who simply follow a prescribed model and do not think for themselves. And this may cause potential issues at A Level were students to continue their studies. Additionally, we no longer are in the world where a case study question is always worth the same number of marks – on the OCR papers, questions that said specifically ‘with reference to a named case study’ varied between 4, 6 and 8 marks (with the majority being 6 marks). Furthermore, questions in the exam paper that would benefit from and require case study knowledge do not always say ‘with reference to a case study’ now (for example, “Evaluate the importance of the UK’s role in one example of a global conflict. (6)”). Students need to be confident enough in their content knowledge in their application of knowledge and understanding that they can introduce specific place knowledge even if the question doesn’t specifically point them that way. However, this does not mean that a scaffold or structure is not beneficial in many ways. After all, the mark-scheme is prescriptive and restrictive. There are command words and rubric expectations that students should be shown and trained how to follow (most powerfully through being shown example answers and analysing them to look for where marks are allocated, and through careful teacher modelling). I have taken the mark-scheme criteria from different exam boards for their extended answer higher-tariff level marked questions and tried to synthesise their common expectations (regardless of exam board). Level 3 answers demonstrate thorough/detailed knowledge of named example with thorough geographical understanding shown by the inclusion of well-developed ideas and place-specific details. They demonstrate application of knowledge and understanding through a well-developed line of reasoning which is clear, coherent and logically structured, and with relevant and substantiated information presented. There may be a thorough analysis of the data and information provided along with a thorough judgement to reach a substantiated conclusion (dependent upon the question type). There may be a reasonable evaluation given, and/or a balanced discussion of factors, dependent upon the question type. Level 2 answers demonstrate reasonable/clear knowledge, with developed ideas and some place-specific details. They demonstrate reasonable application of knowledge and understanding through a line of reasoning that is presented with some structure, and with mostly relevant information presented and supported by some evidence. There may be a reasonable analysis of the data and information provided along with a reasonable judgement to reach a basic conclusion (dependent upon the question type). There may be a basic evaluation given and/or an attempt at a discussion of factors, dependent upon the question type. It is not always possible to provide a one-fits-all structure to suit the case study question, however there are still common expectations of ‘well-developed’ points and links between factors that can lend to structures and scaffolds. See the resources for suggestions for the use of PEEL and IDEAL.